The excess demand for dollars was due to season holidays in the West. 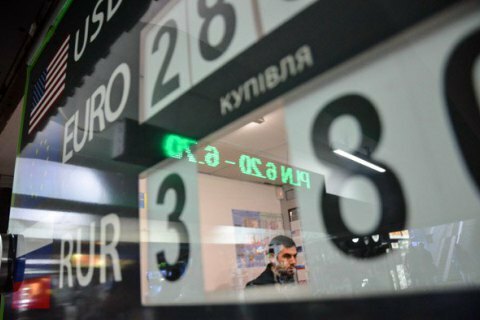 In view of a hike in demand for hard currency on the interbank market on Tuesday, the National Bank of Ukraine announced an auction to sell $ 80mn to mitigate fluctuations in the hryvnia exchange rate. In a statement, the regulator said the excess demand for foreign currency was situational. "On the one hand, the currency offer today is limited due to the Christmas holidays in the US and Europe. A significant portion of foreign currency earnings, mainly from exports of goods and services in Ukraine are received in US dollars and euros and, accordingly, in most cases takes place through correspondent accounts of the Ukrainian banks in the US and Europe," the NBU said. "The banks are required to perform an obligatory sale of foreign currency next day after the receipt of currency. Accordingly, when a working day in Ukraine on December 26, coincided with a day off in the United States and Europe (Christmas), foreign currency earnings did not come to the accounts of Ukrainian banks, which limited mandatory forex sales on December 27," the statement reads. On the other hand, the foreign exchange market is pressed by the demand for currency from exporting companies that have received VAT refunds from the budget in the previous and this week. According to the NBU, Ukraine's international reserves are now standing at about 15.7bn dollars. Later in the day, it was reported that the central bank sold 46.8mn out of 80mn dollars offered for sale. A part of the bids was at the rate that the NBU declined as unacceptable. The minimum selling rate was at UAH 26.60/USD, maximum - 26.68 UAH/USD.